I sell PHYSICAL gold and silver. Over the last forty-three years, I have had customers who have made fortunes by buying coins and bars when they were out of favor, and selling them at the crest of a wave. Shock & Awe in London and New York: In one day (April 12), more than 400 tons of PAPER gold were dumped on the market —to crash gold and to defend the dollar. “It’s just paper. 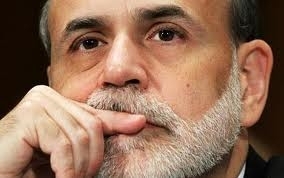 It’s naked shorts… I have assumed from the beginning that it is the Fed’s concern with the dollar because the dollar is being printed in huge quantities at the same time that other countries are abandoning the use of the dollar as international payment. 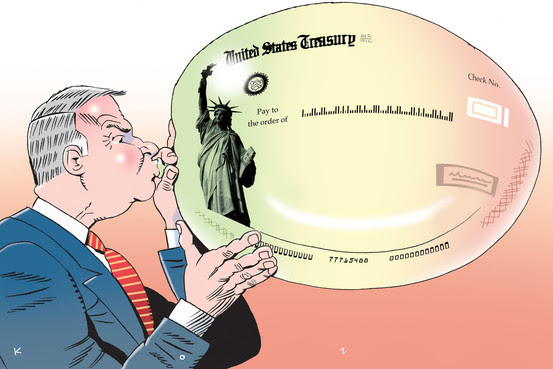 The Federal Reserve has been inflating the U.S. Treasury Bond Bubble for more than thirty years. Managers of some of the world’s largest bond funds are warning investors to act now. The bond market bubble is just about to pop. Chances are, you are far more exposed to risk than you realize. It is likely half of your ETF [Exchange Traded Funds] portfolio is invested in U.S. Treasuries (read the fine print). And probably 40% of your retirement funds are allocated to bonds. Your nest-egg is not safe in a bond fund. 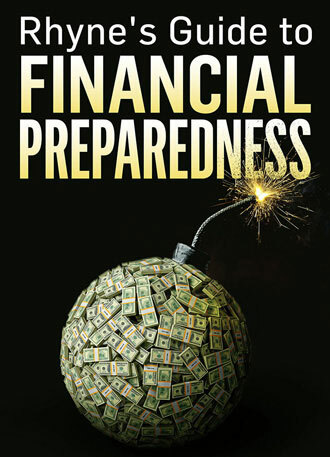 When the bond bubble pops, PHYSICAL gold and silver coins will become scarce. of a fourth bull market. Do you remember what happened to silver in 1979-80? I do. In 1979 – after years of sideways metals markets – the silver price started moving like a freight train. The average price of silver in 1978 was $5.93 per ounce. Silver moved up from $6 January 1979 to $48 January 1980. The price of silver increased 800% in 13 months because of a shortage in the supply of physical silver. In the beginning, the big boys were the only buyers – taking delivery of silver by the actual ton. The general public did not get the fever till the very tail-end of the bull market. It is happening all over again. Silver is acting just like it did in 1979. For the same reason. Supply. We are getting very close to the biggest silver-short-squeeze in history. This time, instead of starting at $6, silver has established a new base line. If silver repeats its 1979-1980 performance performance in 2011, silver will head for $100 per ounce. private hoards. What about buying some for your family? The old U.S. silver dollars and pre-1965 U.S. silver dimes, quarters and half-dollars are 90% pure silver. Another excellent option is the 1 oz. Silver American Eagle coin. 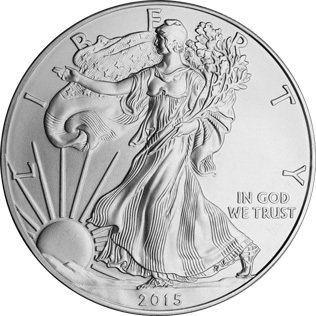 The new silver dollar is about the size of an old silver dollar, and contains exactly one Troy oz of pure silver. The coins come in plastic tubes of 20.
grandchildren than United States silver coins? Questions? Craig Rhyne (206) 719-6368. 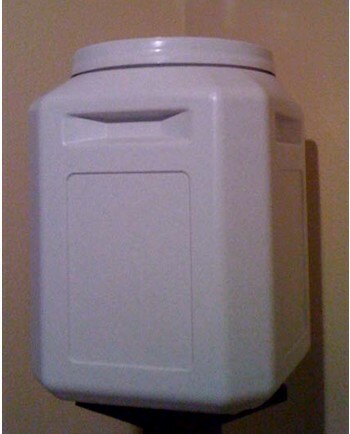 We offer personalized service with privacy & competitive prices. 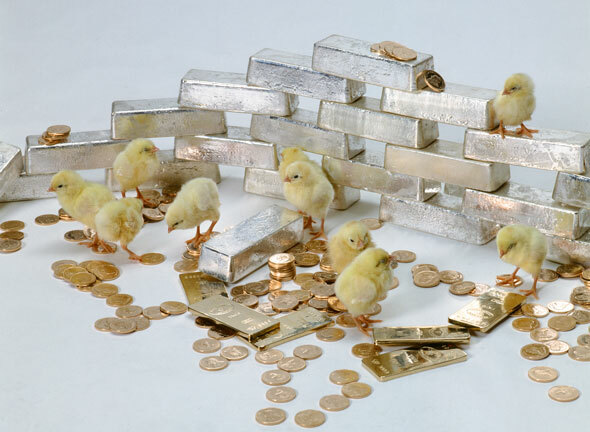 Call to discuss Model Precious Metals Portfolios. Note: Prices change from day to day and minute to minute. Actual prices will be confirmed at the time of an order, based on the markets at that time. 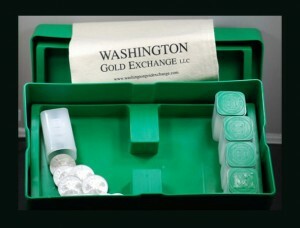 Our monthly newsletter brings the latest news about financial markets, precious metals, and coins. We promise your email address will never be shared or sold.